From the very first day that we opened our doors in 1989, we knew it would take a lot of hard work to survive -- but we believed that if we took pride in our endeavor, offered the highest quality work, provided exceptional service and value to our customers, and treated our employees, customers, and environment with respect -- we could be successful. And so it came to be. More than 29 years have passed, and we continue to be guided by the same values to which we owe our success. 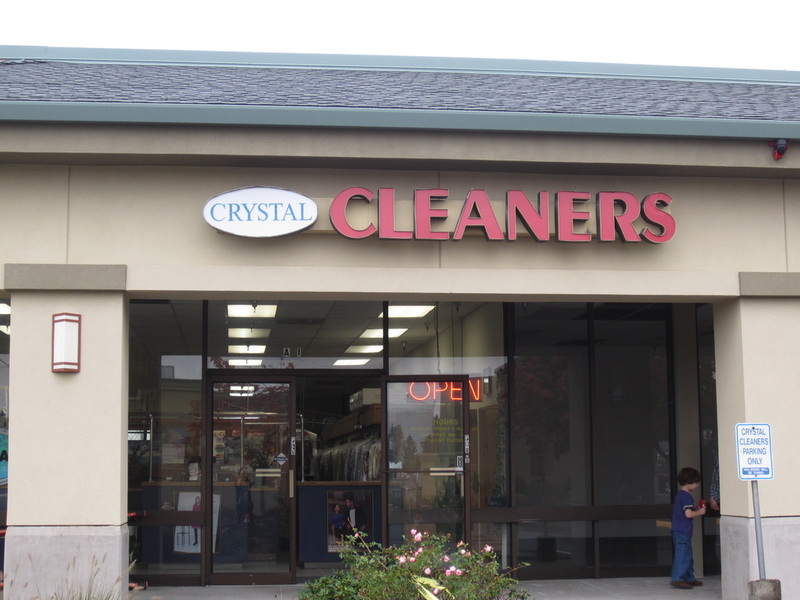 Crystal Cleaners is a family owned and operated business, proud to be serving the Federal Way and Puget Sound area. We are so pleased to be considered the finest dry cleaning establishment in Federal Way. We care about you and truly appreciate that you trust us with your fine clothing -- the clothing that often carries sentimental value; the clothing that you spent your hard earned money on; the clothing that gets you through your work day and your career; the clothing that gets you through that blind date or even your wedding day. From the 20- year-old sweatshirt that you refuse to throw out, to the Armani suit that is going to get you through the biggest presentation of your life... we understand how important it is to you! We understand, and and we care. Crystal Cleaners is known as a place where friends and neighbors can come and be confident that their fine garments will be treated with exceptional care, and that they will be treated respectfully and welcomed like family. Come visit us today! Our Loyal Customers Make Us #1... But Our Customers are Also #1! At Crystal Cleaners, we are so blessed to have the most loyal customers imaginable. Over the years, we have come to know and care for our loyal customers like close friends and family. One of the most enjoyable parts of being in the dry cleaning business is that our customers visit us frequently, keeping us up-to-date with all the happenings in their lives: We are there to tailor the critical first dance recital costume. Afterwards, when the costume is dropped off for cleaning, we get to see the video of the recital! We are always spotting pesky grass stains out of sport uniforms and then we hear all the game highlights! We take care of that wine spilled at the company holiday party, and have a great laugh at the funny story about the party! While our customers have gotten to know our family through our stories and pictures, we've enjoyed watching our customers' children grow up right before our eyes. The kids always sift through the candy jar on the counter, yet grow taller each visit! And of course, as the trusted dry cleaner, we have always been there for the big events in our customers' lives. We are honored to have prepared attire for our customers' weddings and then to have attended so many of our customers' weddings, as well as our customers' children's weddings! Likewise, we were deeply touched when so many of our dear customers attended our childrens' weddings with us. We have met so many wonderful people over the years and have been with them through so much. Our dear customers have stayed with us through retirement, divorce, cancer, death of loved ones, layoffs, and you name it, for years -- many for decades. Some of our loyal customers drive long distances even after they move away, in support of our business and to come visit us as friends. Countless customers going through difficult financial times, continue to bring in business for us and then bring us home-made cookies and Starbucks gift cards for Christmas, even if they have been out of work for months! We are so grateful to have such kind and generous people in our lives as customers, friends, and neighbors. We cannot adequately express what an honor and joy it is to be included in your lives. Our customers are #1!